A special event showcasing food without dairy or meat. To accompany this plant based menu we will have a range of vegan beers, wines and soft drinks available. At The Marlborough Tavern you’ll find a warm welcome, freshly prepared home cooked food and friendly service. We’re open seven days a week for lunch and dinner, and every morning for coffee from 9am. We’re located in a beautiful spot near to the centre of Bath, just around the corner from The Royal Crescent. 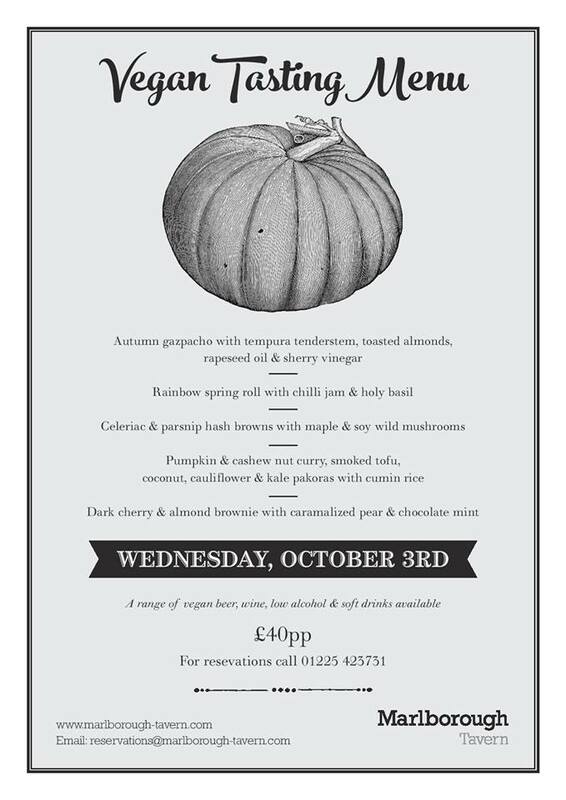 Vegan tasting menu 3rd October! To reserve a table call 01225 423731. More info HERE.